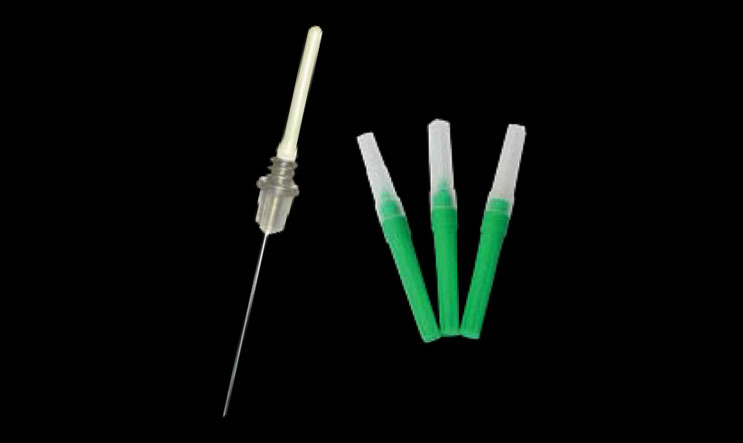 Vacsure multi	sample	sterile	single	use	needle	consist	of	double	pointed	sharp	and	smooth	edges	needle	makes	patient	painless. Short	end	covers	with	the	thin	latex	free,	non	toxic	rubber	sheath	which	allows	blood	flow	into	the	collection	tube	and	stops	blood	flow	once	the	desired	exact	volume	is	filled	in	the	tube. Easy	to	change	the	tubes	without	taking	out	the	needle.